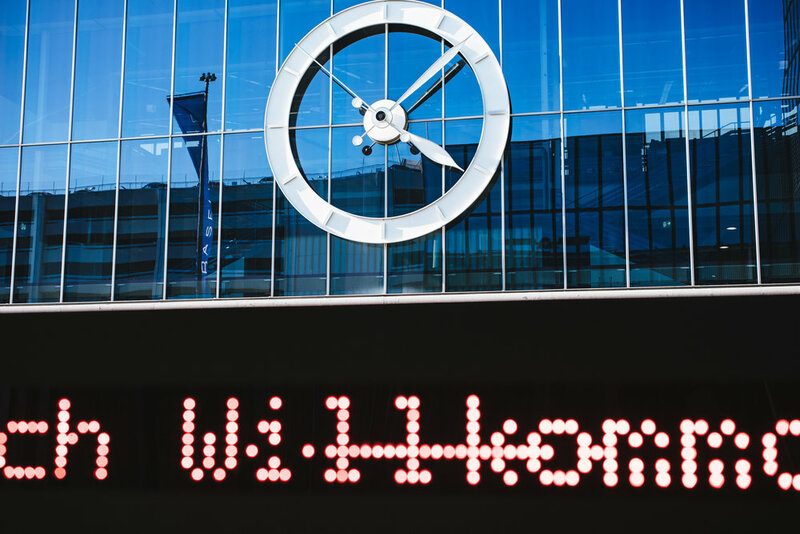 Yet whether it’s your feet, your liver, or your wallet, the truth remains that a part of you will suffer greatly from pain and/or exhaustion by the time Baselworld (or any trade show, for that matter) is over. So why do we do it? Why do we put ourselves through the anguish we do when we know the benefits don’t always outweigh the work? Well, frankly, it pretty much just comes to down to people. Writers who often use the term “watch world” focus so much on the “watch” portion of that statement that they will sometimes forget the entire Earth is involved in the success of the industry as a whole, and when shows such as the one in Basel, Switzerland roll around, the “world” aspect becomes so much more apparent. This industry, like any other, is built on relationships. I mean, I have no idea what a trade show would look like for the home décor industry, but I can only imagine it’s probably not much different than the ones currently held for watches. However, like any other business, we enjoy thinking that ours is special; that the personalities are ours and ours alone, and that what makes us unique cannot be replicated, and you know what, that’s probably true. And that’s also likely the reason we torture ourselves every year. 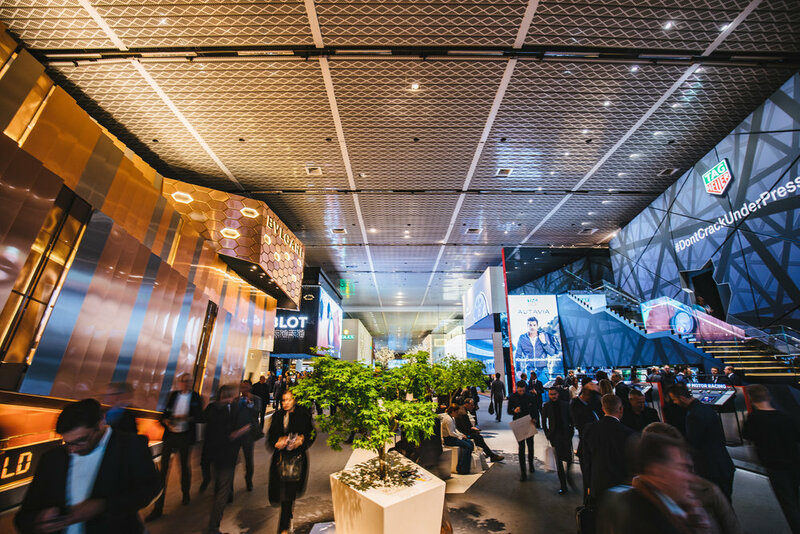 If you’ve never attended a Baselworld, there really is not a perfect way to describe the fair other than to assure you that you’ll never experience anything quite like it. 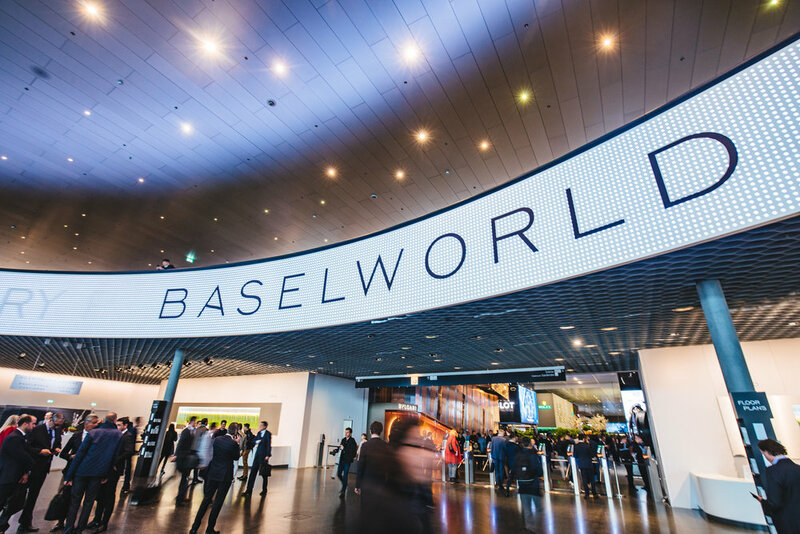 I know this to be true, firsthand, because up until attending my first Baselworld four years ago, I had to take people’s words for what the event was like. They would even say to me, “you have to see it to believe it.” I remember showing up with a printed copy of my appointments and thinking, “Oh, I should easily be able to get from brand to brand in between appointments” only to have blisters at the end of the day from what felt like half-marathon training because I had no idea how unbelievably enormous Baselworld was. But its enormity is only as big as its booths are spectacular. Many of the core brands exhibiting in Basel have booths that are currently larger than my house. If not larger, at bare minimum, the same size, and way, WAY more elegantly decorated. I’m fairly certain I saw the *actual* statue of David in Bulgari’s booth in 2018. And for years, Breitling had an aquarium built into their booth that held a fleet of jellyfish (I know that the correct term of a congregation of jellyfish is technically called a “smack” [yes, I looked it up] but this is Breitling we’re talking about, so I’m going to call it a “fleet”). I guarantee you there isn’t a person on this planet who’s ever described Baselworld as either “cute” or “demure”. But being in Basel isn’t a 9 to 5 gig. No, no, no, my friends. When the lights go down, the second leg of that day’s work begins: the socializing. And since the city of Basel tends to triple their prices on everything from schnitzel to schnapps, being popular can also mean being broke. These statements are not hyperbole, either. It is a fairly well-known fact that Basel is an extraordinarily expensive place to stay and eat at fair time, and should you find yourself at the bar at Les Trois Rois at midnight on any given night during the fair, (which you will, because where in the heck else would you be if you’re in Basel?) prepare to pay a few dozen Swiss Francs for a pour of scotch that would barely fill an eye dropper. Yet what Les Trois Rois lacks in fairly-priced drinks, it more than makes up for in atmosphere, because you see, the bar there is sort of like Basel’s version of Cheers: you walk in, and you can almost guarantee that everybody knows your name. Well, that is, if you’re me. I mean, if you’re you, I’m not sure who the heck will know you, but either way, you get my point. It is the place where both good and bad things happen; where deals are made and vows are broken. But it’s an experience unlike any other in this industry, and just like Baselworld, itself, it is a place that – no matter how angry you get at it for whatever your reasons – you will likely find yourself there time after time, and year after year, over, and over, again.